Ever wish you could trade in your work boots for a pair of sandals, jet-set across the world, and spend the rest of your days driving a Maserati around Dubai? 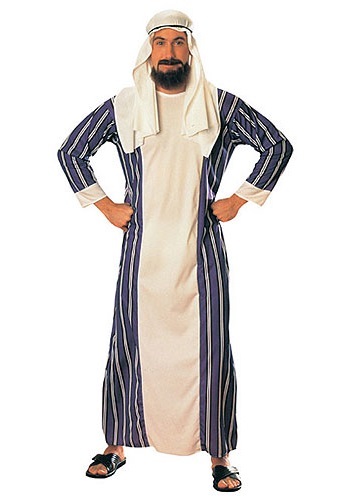 We can't get you started on that journey exactly, but we can give you the look of a powerful Sheik with this costume! You can create your own story, but our favorite is big time money, fast cars, and penthouse suites at the Burj Khalifa.